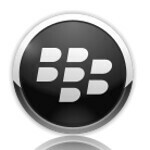 T-Mobile close to launching Wi-Fi calling for BlackBerry 10? With the T-Mobile Wi-Fi calling app appearing in BlackBerry World for those running the BlackBerry 10.2 OS beta, we'd say that the feature will soon be officially live for BlackBerry 10 users. While the listing for the app says it is for the QWERTY equipped BlackBerry Q10, the app can be downloaded on the all-touch BlackBerry Z10 as well. So far, there has been no feedback from those who have installed the apps, that the service is working. With Wi-Fi calling, users can make calls over a Wi-Fi network. Not only does this feature come in handy when you are in a Wi-Fi covered area that has a lousy cell signal, the calls placed over a Wi-Fi pipeline do not count toward your monthly minutes. This is obviously good news for all of those T-Mobile customers that are totin' the 'Berry Z10 or 'Berry Q10. So keep your eyes peeled for the BlackBerry 10.2 update, which has just become more important now that you know that the Wi-Fi calling feature is on the way. This could've been news 2 or 3 years ago and no one still bother. I mean, there are apps out there that allow you to make calls via the internet over cellular. Why still stick to just wifi-calling? The businesses have switched. You Blackberry is just too slow.